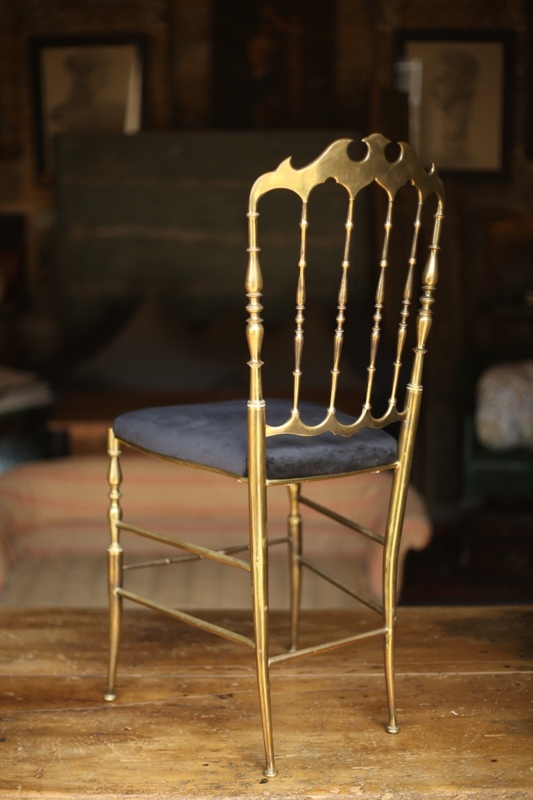 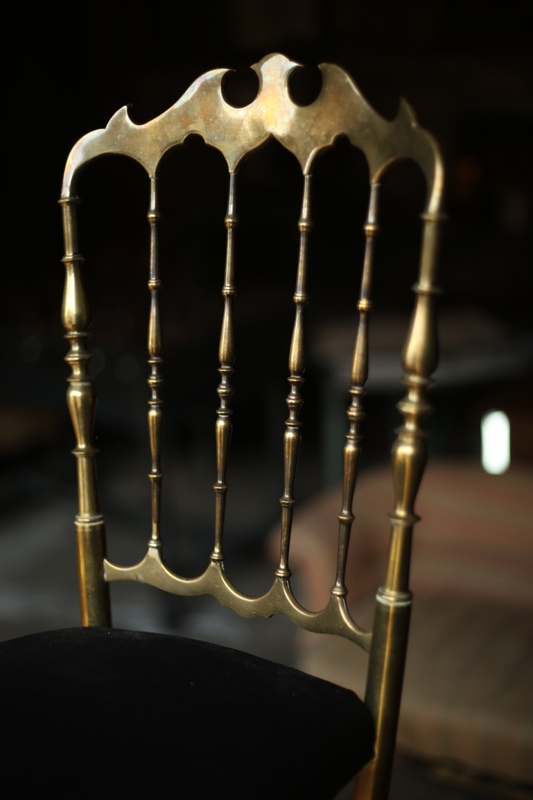 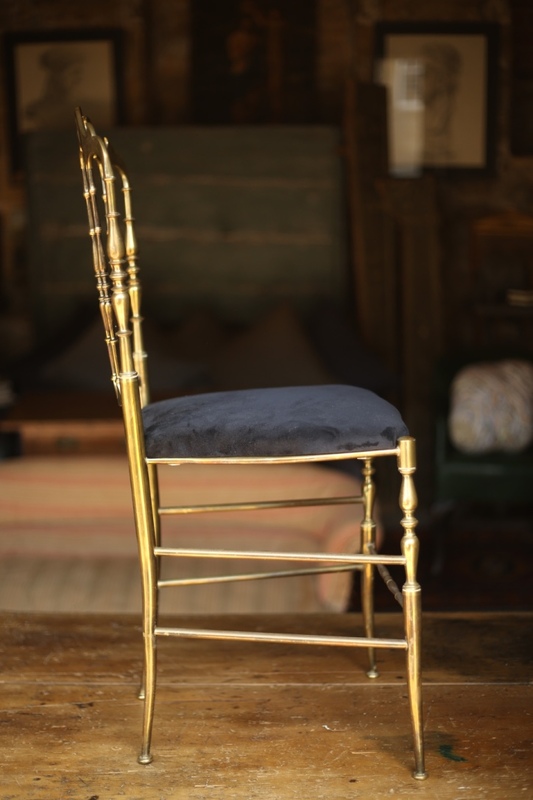 This is a stunning side chair designed by Chiavari and made entirely of brass. 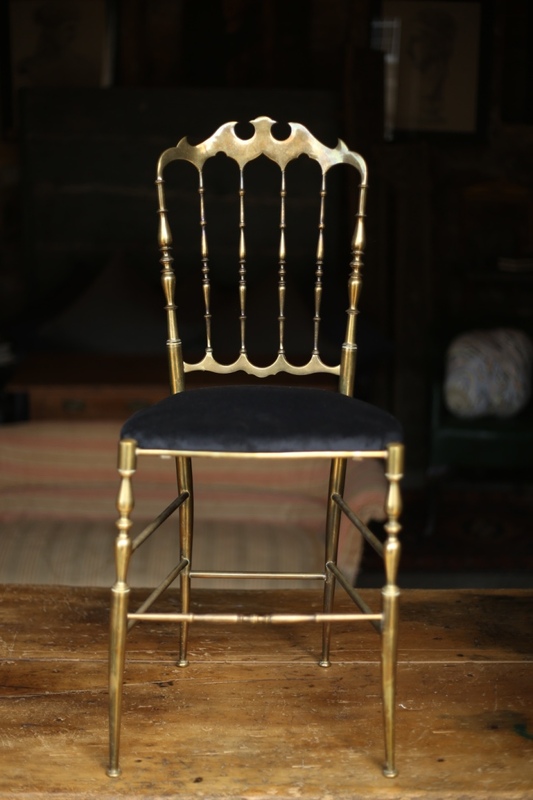 This is an iconic design and one that never goes out of fashion as the look is just so elegant. 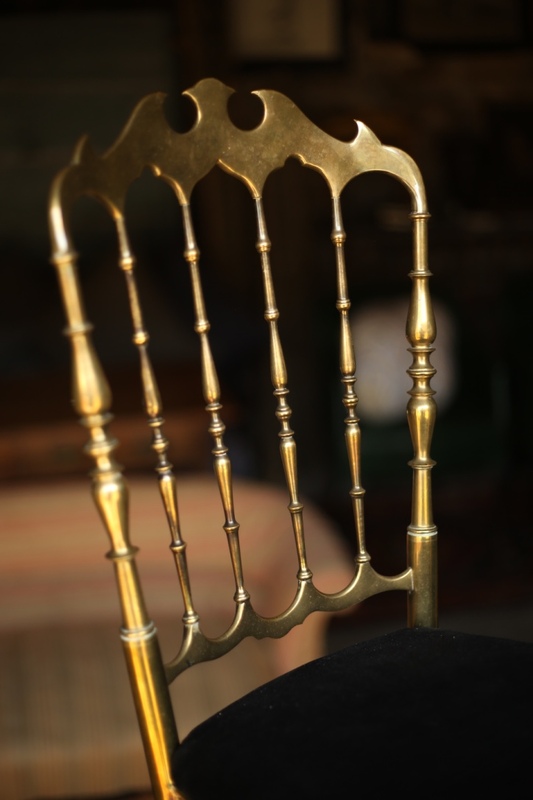 The construction is top quality an the shape is fantastic. 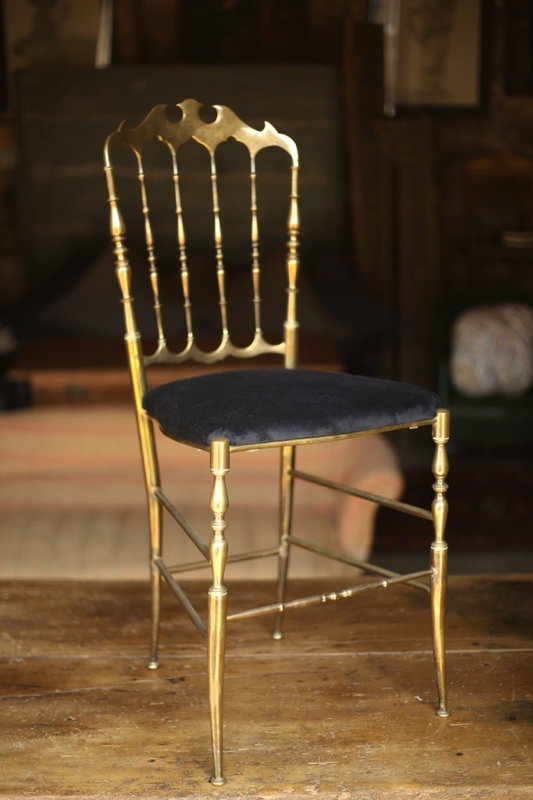 I have decided to cover the seat in a black velvet to keep it look elegant and not taking anything away from the beautiful design. 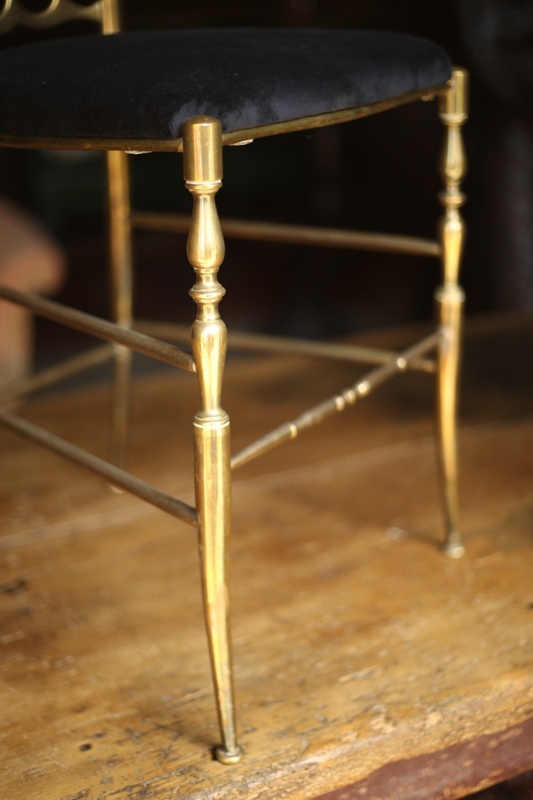 The details along the frame is fantastic and makes this a special piece that would sit very nicely in any home.